Harry S. Truman wrote: "Not all readers are leaders...but all leaders are readers." 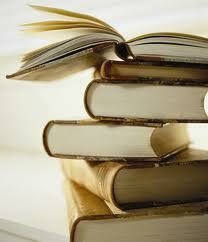 Mark Twain wrote "The man who does not read good books has no advantage over the man who can't read." Never, ever stop learning! Reading books to continually expand your knowledge base and to give you fresh insights is an activity that if you consistently do will make a huge impact in your life. Reading is a common trait of leaders worldwide. If you strive to reach higher levels of excellence, whether it be in your personal life or in business, reading will help you reach that goal. What? You say you don't have time to read? Nonsense! Get books on CD and turn your car into a university. Load up your Kindle and read while you're working out on the treadmill. Read for 10 minutes while you're waiting for your next appointment. I have compiled a list of some of my favorite motivational and educational books and encourage you to set a goal to read as many of these books as possible. As Richard Steele so aptly said "Reading is to the mind what exercise is to the body."